MLBdirt Has Partnered With Field Rush! It’s now less than two months until pitchers and catchers report for spring training. We’ve finally gotten to the point of the offseason where teams are starting to scramble to fill the final holes on their rosters. Because the majority of the big-name free agents have already signed, the depths of the available player pool are starting to be plumbed. This makes the weeks leading up to spring training some of the most interesting to watch for diehard baseball fans. I have always been a fan of players who possess both the skill of speed and power. As a kid I was a big Jose Canseco fan who was the first player member of the 40/40 club. I was also a big fan of Eric Davis and Ron Gant, both members of the 30/30 club with Davis narrowly missing out on being the sole member of the 40/50 club in 1987. 2012 – The Year of the Laboratory? There are a surprising number of experiments going on in Major League Baseball for this coming season. Players are trying out new positions, relief pitchers are trying to be starting pitchers. Heck, even the Yankees are trying to be cost conscious. Strange things are happening in a training camp near you. With all that is happening, you will need a scorecard to track all the goings on. We at MLB Dirt are happy to help. What follows are the experiments happening all over baseball plus this writer’s take on whether the lab results will be positive or negative. Here we go. Got your pencil handy? Catching when your manager was a former catcher himself can’t be easy. We’ve all seen the tensions in New York with the demotion of Jorge Posada under Joe Girardi’s tenure there as manager. Apparently the same was going on for the Angels as Mike Napoli couldn’t find his way into Mike Scioscia’s every day line up. It was no surprise then that the Angels traded Napoli in that gosh awful Vernon Wells trade to Toronto. The Blue Jays then sent Napoli to the Rangers, the Angels’ chief rival in the American League West. The move has done more to cost the Angels 2011’s division chances more than any other single transaction this year. We won’t discuss how bad Vernon Wells has played this season for the Angels. Instead we’ll focus on Napoli’s worth compared to the players in the Angels’ line up that have replaced Napoli’s plate appearances. You can’t add Jeff Mathis to the equation either as Mathis would have gotten into Scioscia’s line up whether Napoli was there or not. Scioscia loves his Jeff Mathis because of that catcher’s defense. Never mind that Mathis is one of the worst offensive players in baseball. We’ve yet to see a good defensive metric for catchers, so we’ll have to take Scioscia’s word for the fact that Mathis adds enough value behind the plate to make up for his lack of worth beside it. 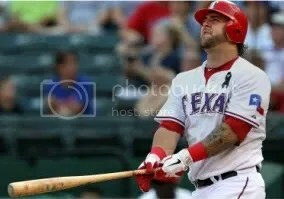 And so we’ll have to compare Mike Napoli‘s worth for the Rangers as a DH, part-time catcher /part-time first baseman /part-time DH compared to what the Angels have produced from Hank Conger, Russell Branyan, Bobby Abreu and others. Well…there is no comparison. Mike Napoli has compiled an fWAR of 5.2 this season. Branyan yielded no value. Conger’s WAR is 0.4. Abreu’s total WAR in the field and mostly as the DH is 1.4. So basically, you have 1.8 worth of WAR that replaced Napoli’s 5.2. But it goes beyond that. That 5.2 of fWAR that Napoli has compiled could have been compiled for the Angels. Napoli has fifty extra base hits for the Rangers including 26 homers. Inject those numbers on a tepid Angels’ offense and you have some runs scored for that wonderful pitching staff the Angels possess. Conger and Abreu have thirteen homers between them. Branyan hit four more. So doing some lazy math, the Angels trading Napoli probably cost them some six or seven wins this season. And yes, the Angels are 4.5 games back of the Rangers for the division with two weeks to play. Heck, a miracle could happen and the Angels could win all their games and the Rangers could lose all theirs making the Angels the champs, but that doesn’t seem likely, does it? There are lots of wonderful things you can say about Mike Scioscia as a manager. His former coaches are winning all over baseball. But in this case, Scioscia signed off on sending Mike Napoli out of town and darned if that gunslinger didn’t end up in the middle of the Rangers’ line up. The Angels shot themselves in the foot on this one. P.S. While researching this piece, another take on the same topic was written by Jack Moore over at Fangraphs. The conclusions are the same. Trading Mike Napoli probably cost the Angels the AL West. There is a lot of attention on Derek Jeter and his quest for 3000 hits. 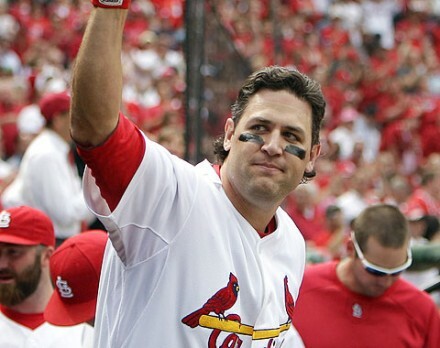 He currently sits at 2981 and needs just 19 hits to become only the 28th member of the 3000 hit club. The attention is warranted but what most people don’t realize is that Jeter is, and has been, more than a slap-happy swinging batter, and became the 41st member of the 4000 Times on Base club last year. 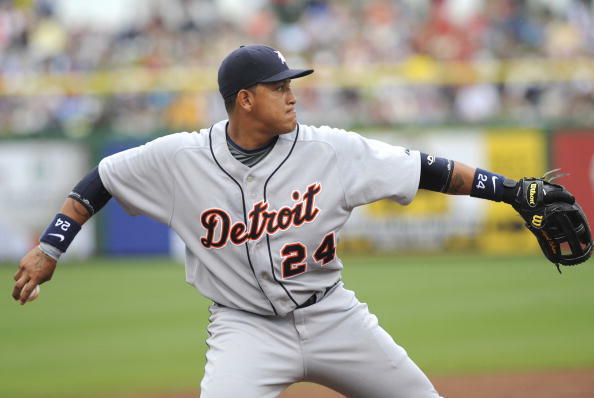 Also joining him last year was as the 42nd member was Manny Ramirez. There was no press made when Alex Rodriguez became just the 43rd member of the exclusive 4000 Times on Base club back on May 18th against the Baltimore Orioles. But mark my words, there will be at least 6 months of press in 2013 when he is approaching 3000 hits. This coming week we will more than likely see the newest member of the 4000 TOB club and most people won’t pay attention because he has done it with “only” 2233 hits so far. That man’s name is Jim Thome and he needs only to reach base 4 more times to join this exclusive club. Not far behind him we will see Chipper Jones join the club in the month of June, having to reach base only 16 times to be part of the exclusive club. Oh, Chipper Jones will be only the 4th switch hitter to join the club. Again, no major press will pick up on this. This is pretty big news because looking down the line the next closest people to join this club are the 44 year old part-timer Omar Vizquel (116 more), the 37 year old Bobby Abreu (276 more), the 37 year old Johnny Damon (385 more), and the soon-to-be 38 year old Todd Helton (449 more). After that the next best possible member will be Albert Pujols who has reached base 2966 times. I find it hard to see Vizquel, Helton, and even Damon joining the club. The 4000 Times on Base club may not be as exclusive as the 3000 hit club but it is still very exclusive. Every eligible member of the 4000 TOB club is in the Hall of Fame except Rusty Staub, and those with an asterisks next to their name: Pete Rose, Barry Bonds, and Rafael Palmeiro. Recent retirees such as Craig Biggio (one of only 17 player to reach base 4500 times), Gary Sheffield, Frank Thomas, and Ken Griffey Jr. all have HOF credentials. Now, I don’t mind the hoopla that surrounds the 3000 hit club but some of it needs to go to the 4000 Time on Base club because they have been neglected far too long. The Good: The Rangers are a young talented team that has emphasized pitching over offense and this group has not hit the ceiling yet. 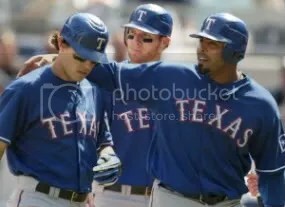 They may have one of the best offenses in the game with MVP Josh Hamilton, Nelson Cruz (a MVP caliber player), Ian Kinsler, Elvis Andrus and having 3 guys to play all 8 positions and DH with David Murphy, Mike Napoli and Mr. Ranger Michael Young. Adding Adrian Beltre was a smart move because he helps improve a shoddy Rangers defense and will benefit greatly from hitting in Texas with this lineup. The Rangers have talent on the mound as well with CJ Wilson, Colby Lewis, Derek Holland, Darren O’Day and Neftali Feliz. The Bad: How does this team fare without Cliff Lee? Granted, Lee was average in the regular season with the Rangers but, he will be sorely missed. Asking to have CJ Wilson and Colby Lewis replicate 2010, something they have never done before that, while also anchoring the rotation is the biggest key to the Rangers season. If this duo falters the Rangers are not winning this division. The bullpen has talent and plenty of nice numbers but, it needs to show more poise as they were occasionally hit up in big spots last season. What to Look For: The balance of playing time and productivity of the Napoli-Murphy-Young trio will be interesting to watch. If RHP Tanner Scheppers and OF Engel Beltre continue to shine in the minors they could get a call up. Is Brandon Webb OK? Is he still the best sinker ball pitcher in the game? That is something to watch. Also, the learning curves of Tommy Hunter, Matt Harrison and most importantly, Derek Holland will be critical to the Rangers success. Projection: While maybe a tick below last year’s bunch the Rangers are plenty good and could be even better. The pitching has to fall into place, like any team. It would be a wise choice not to bet against this bunch. The Good: The Angels can go toe to toe with anyone with starting pitching. Dan Haren, Jered Weaver, Ervin Santana and Joel Pineiro are a pretty safe quartet to keep you in games. Although it had some problems last year the bullpen has promise too considering it added Hisanori Takahashi and Scott Downs to go along with Fernando Rodney and Kevin Jepsen. The Bad: The Angels were embarrassed in free agency this past winter and had to take on the overly bloated Vernon Wells contract. The Halos have major question marks with C Jeff Mathis and 3B Maicer Izturis. Both guys are usually bench guys with little power and are being forced into everyday roles. While it is good that the Angels are giving kids 1B Mark Trumbo and CF Peter Burjos shots at the big leagues they also need these kids to produce right away which maybe too much to ask. The Halos can only hope and wonder when 1B Kendry Morales can come back and contribute after ankle surgery. Morales is the most vital cog to the Angels offense. What to Watch For: The Angels need top prospect C Hank Conger to make the break through to the Show sooner rather than later. The same can be said for OF Mike Trout. The outfield trio of Torii Hunter, Vernon Wells and Bobby Abreu gets another year older with the same measure of offensive expectation to produce. Can they all still do it? Can Erick Aybar replicate his 2009 season or is the player we all saw last year? The bullpen while upgraded, has major issues. Projection: Age, bullpen problems and consistent offense, not something you are used to hearing with a Mike Scioscia team. The Angels have plenty of questions but, they also have plenty of starting pitching and a good manager. If the Rangers falter don’t be too surprised to see the Angels somehow in the mix to take the AL West flag. The Good: The A’s have one of the best starting rotations in the AL when all healthy. Trevor Cahill, Brett Anderson, Dallas Braden and Gio Gonzalez can confound and hold down offenses most nights. The great thing about the staff is there aren’t all the same type of pitcher each one is different and has a different wrinkle throwing offenses off. Adding OF’s David DeJesus, Josh Willingham and Hideki Matsui was a major boost to a punchless offense. The A’s also have a very good bullpen as well with Grant Balfour, Brian Fuentes, Mike Wuertz, Brad Ziegler and closer Andrew Bailey. The Bad: The A’s offense got off the hook in 2010 because the Mariners offense was so historically bad. This team needs home runs desperately because it was powerless in 2010. The A’s have to hope the additions of Matsui, Willingham and DeJesus pay off. Also, having OF prospects Chris Carter and Michael Taylor break through to the MLB Level full time would help too. What to Look For: If the A’s stay healthy and pitch to their potential and possibly get Rich Harden healthy throwing strikes out of the bullpen then look out, this team could win the division their pitching is that good. Projection: A down year for the AL West means the time is ripe for the A’s to strike. This is a good team that just needs more runs to be scored. Billy Beane did a solid job upgrading this team and while they are picked here at 3rd place I think if Texas loses this division it’s more likely because the A’s win it not the Angels. The Good: A very limited selection here. The Mariners do have the reigning CY Young Award winner who is soon to be 25 in Felix Hernandez. The Marniers also have a future Hall of Famer in Ichiro Suzuki who is good for a .310 plus batting average, 30 plus steals, 200 hundred plus hits and a Gold Glove in rightfield. The Mariners boast a pretty good defensive team as well. The Bad: The offense was so bad last year it was epically and historically atrocious. Scary thing is the only thing the Mariners did was add Jack Cust to the everyday lineup which means a lot more of unneeded strikeouts but, some much need walks and homeruns. The Mariners desperately need 2009 years from Franklin Gutierrez and Chone Figgins not the bad 2010 years they had. The bullpen had its problems last year as well. You can add David Aardsma as a guy needed to have a year like he did in 2009 not last year. Jason Vargas and Doug Fister were OK for this rotation in 2010. 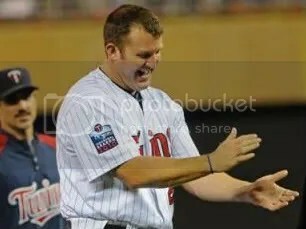 It would be nice to see Erik Bedard just get on the mound in 2011 doing his Carl Pavano Yankees impression for the Mariners. This staff doesn’t have a real compliment to Felix Hernandez which is a problem. What to Look For: The Mariners desperately need 1B Justin Smoak and LF Michael Saunders to figure it out and impact the everyday lineup immediately if this team has any expectation to be decent. You better add prospects LHP Mauricio Robles, RHP Michael Pineda and 2B Dustin Ackley to that list as well. That’s a lot of things that have to happen for things to be good this year in Seattle. Projection: The offense couldn’t be much worse than it was in 2010 could it? Or could it be? This is an odd year and the book says the Mariners will be 85 plus win team if you follow their past 5 years. I don’t know how they will pull that off this year but, then again no else saw them being good in 2007 and 2009 either. I don’t forsee them being a .500 or better team this year. But, then again I have been wrong many times before.